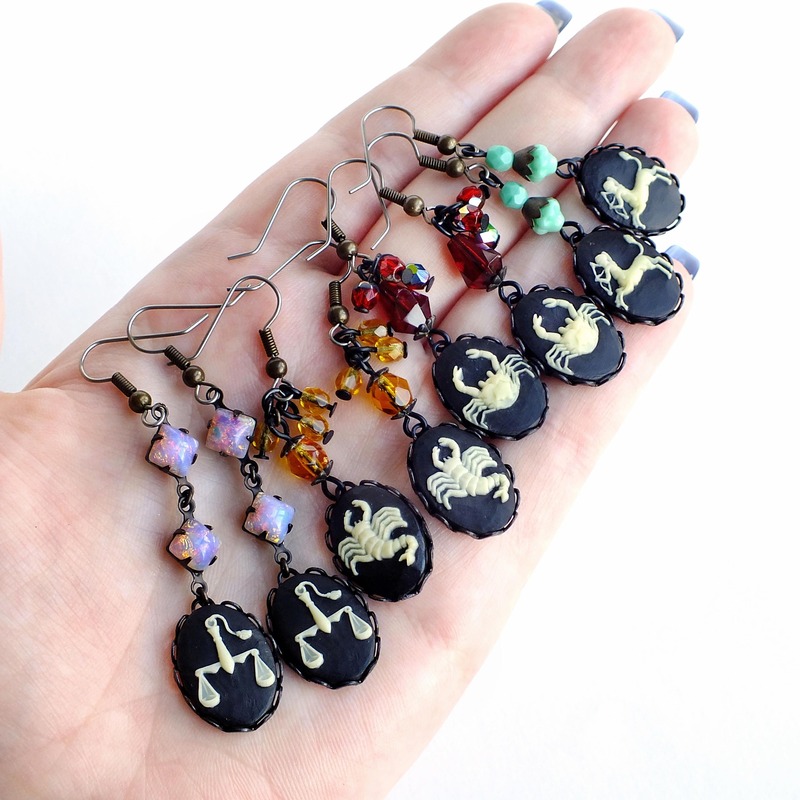 Victorian handmade Libra zodiac earrings with vintage astrology Libra cameos. 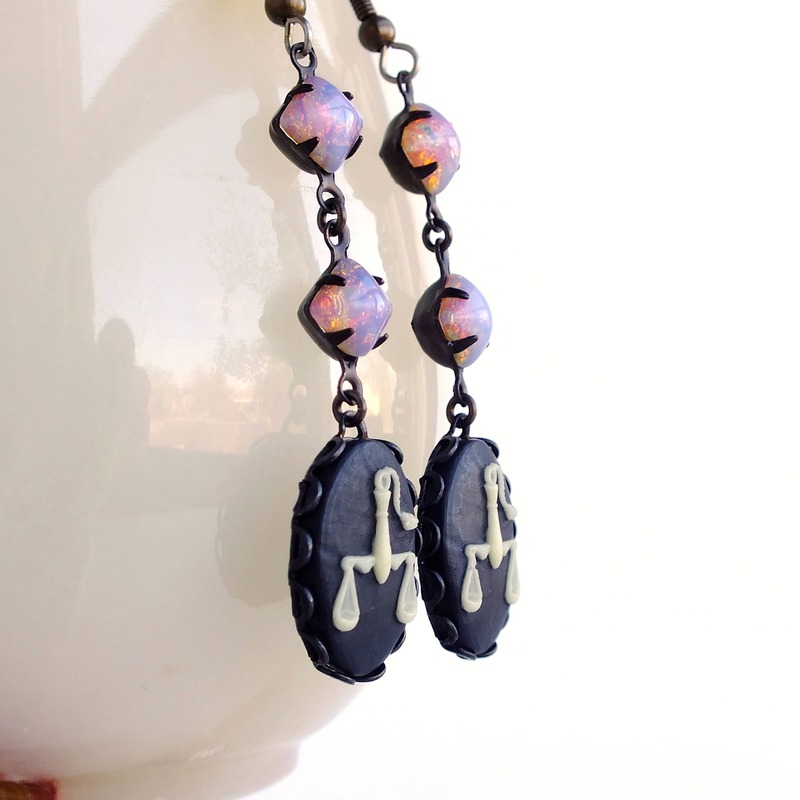 Genuine vintage resin cameos and glass opals. 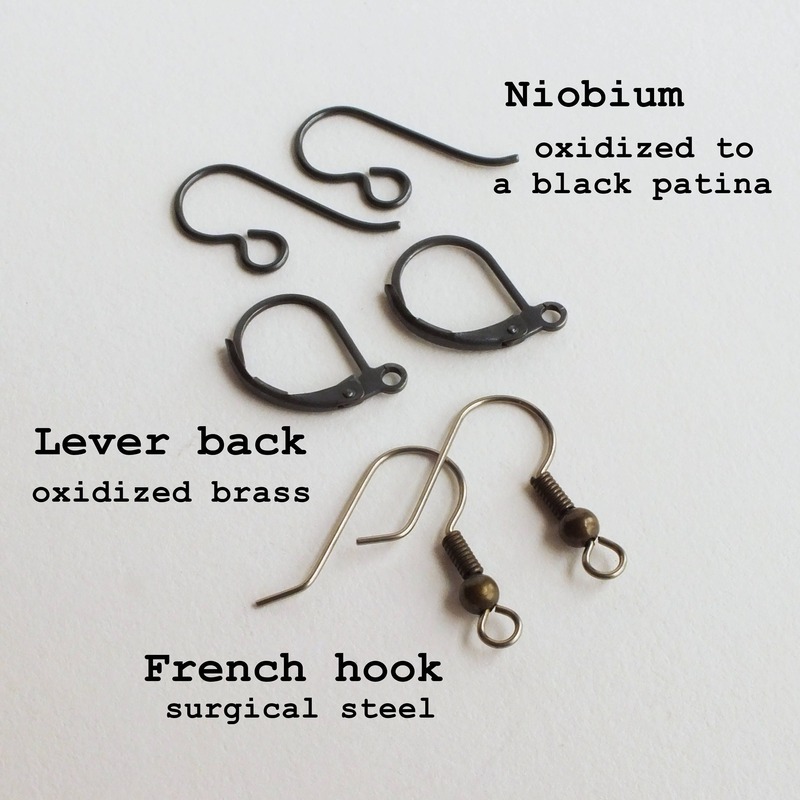 US made surgical steel french style ear wires. 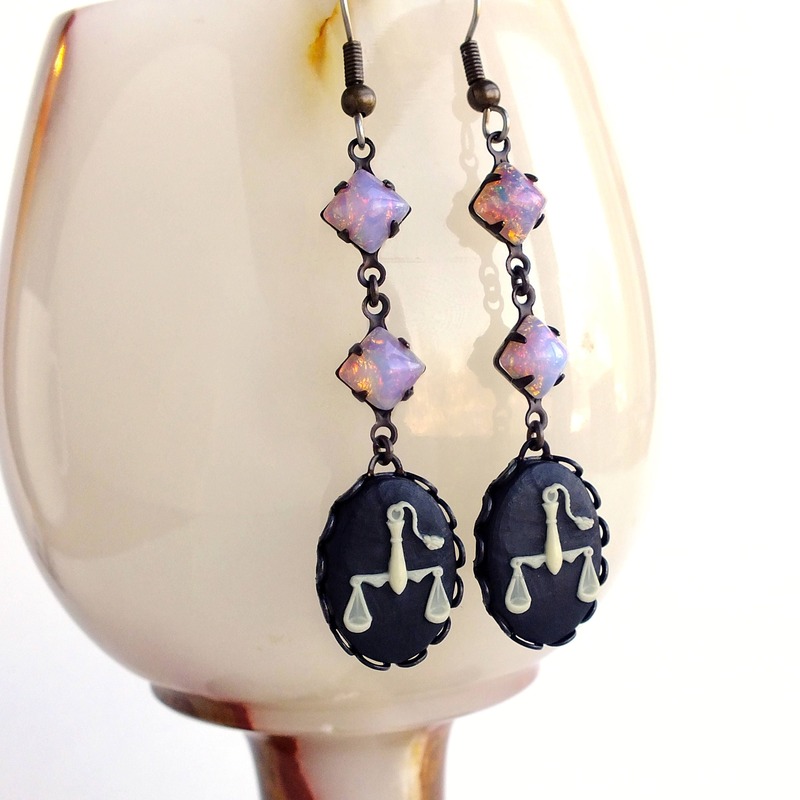 US made oxidized brass settings. 2 5/8 inches - 6.7 cm long. 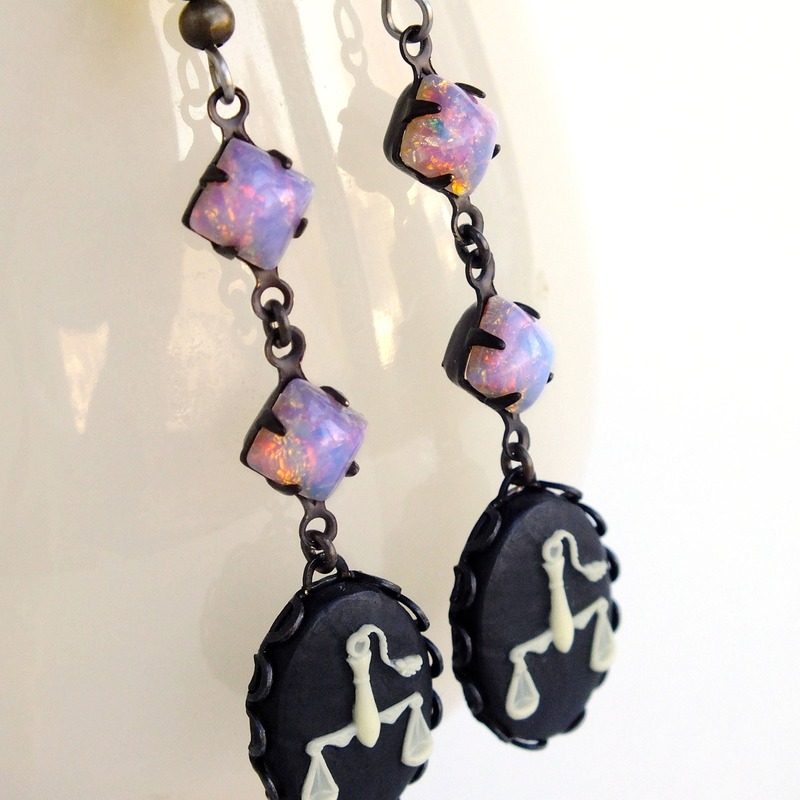 Victorian astrology earrings made with gorgeous genuine vintage resin cameos carved with tiny detailed Libra scales. 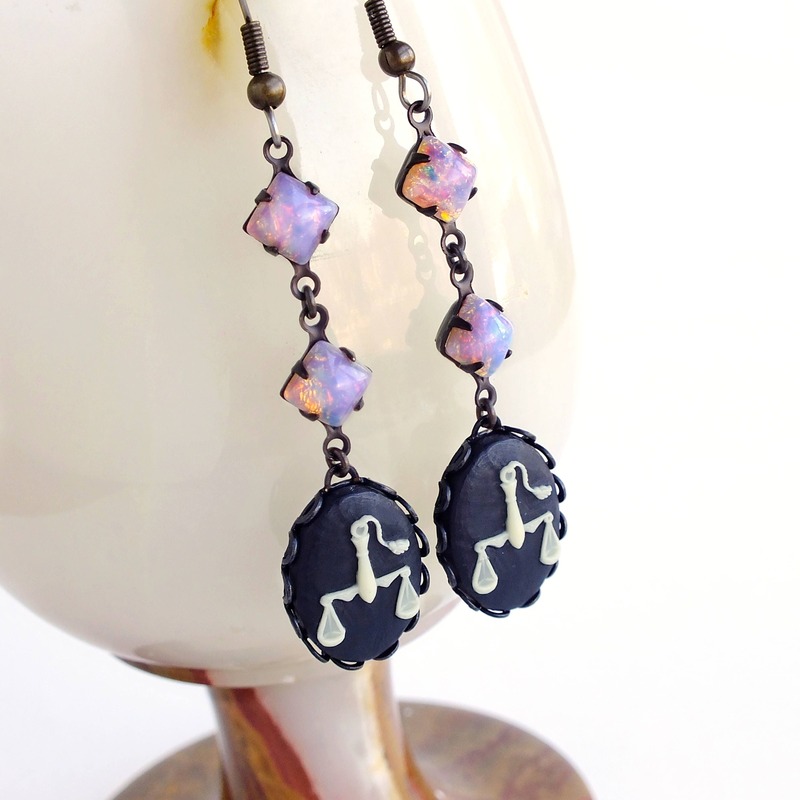 Set in black oxidized brass adorned from dreamy pink vintage glass fire opals. 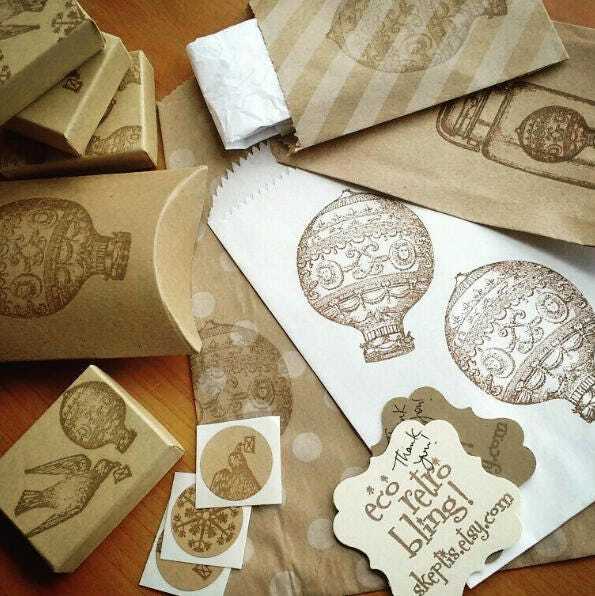 Select from drop down menu before clicking 'Add to Cart'.